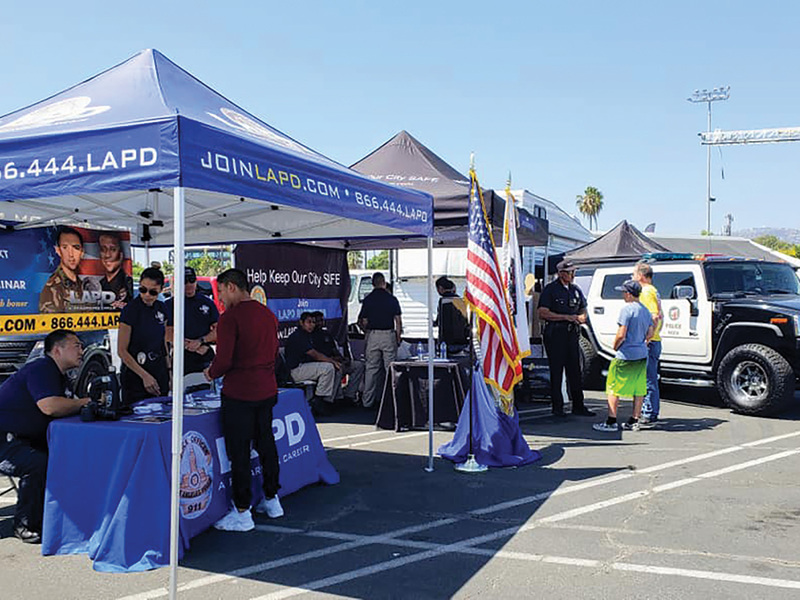 LAPD Reserve Recruitment booth at LA Fleet Week, held August 31 to September 3, in the First Responders Village. (August 31–September 3) this year, making it one of the largest in the nation. The average age of a military vessel crew member is 25 and many are thinking about what they will do after completing their service. 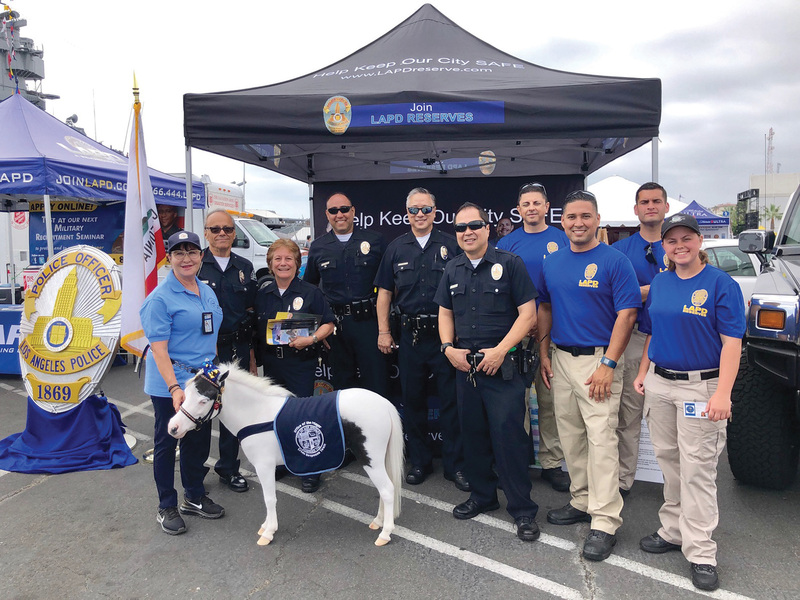 Fleet Week gives them a chance to have some fun, see what Los Angeles has to offer and, for us, we get a chance to show them what LAPD is all about! 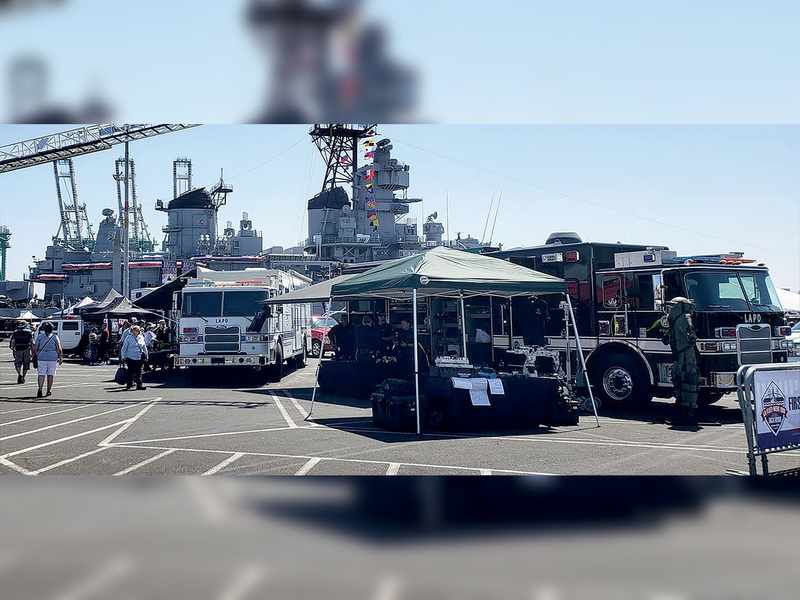 For the first time, the LAPD had a significant presence at LA Fleet Week. 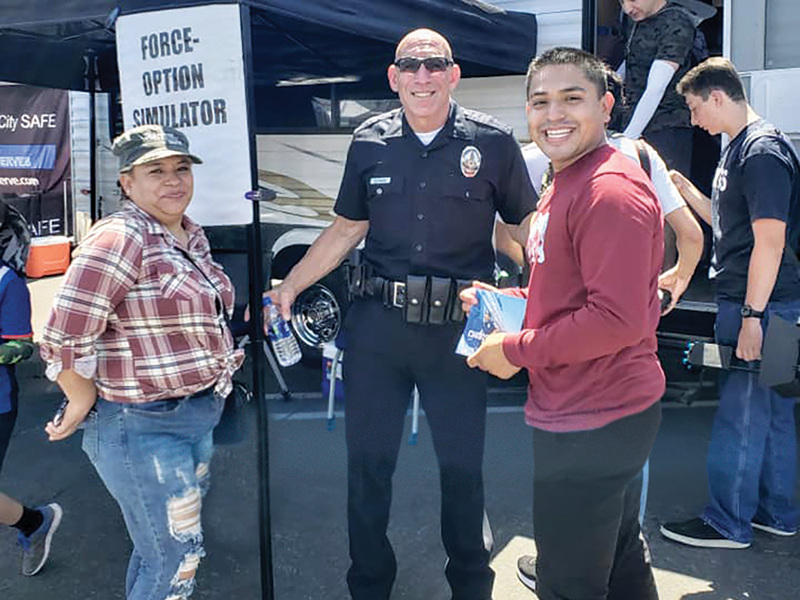 SWAT, Dive Team, K-9, Mounted Unit, Bomb Squad, Hazardous Materials and the Force Options Simulator (FOS) were all part of the LAPD display. Of course, there were recruiting booths for both the Reserve Corps and full-time officers. At times crowds gathered around our displays while other exhibitors had none. Personally, I am glowing with pride. I believe this is what a premiere community event should look like, with a focused footprint and engaging exhibits. 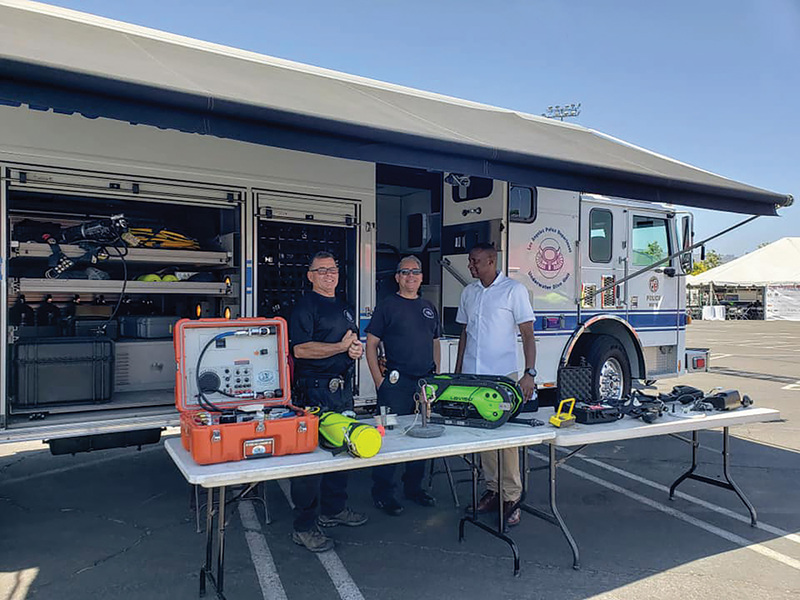 The Reserve Foundation took a leadership role in organizing this event for the benefit of the Department and the Reserve Corps. 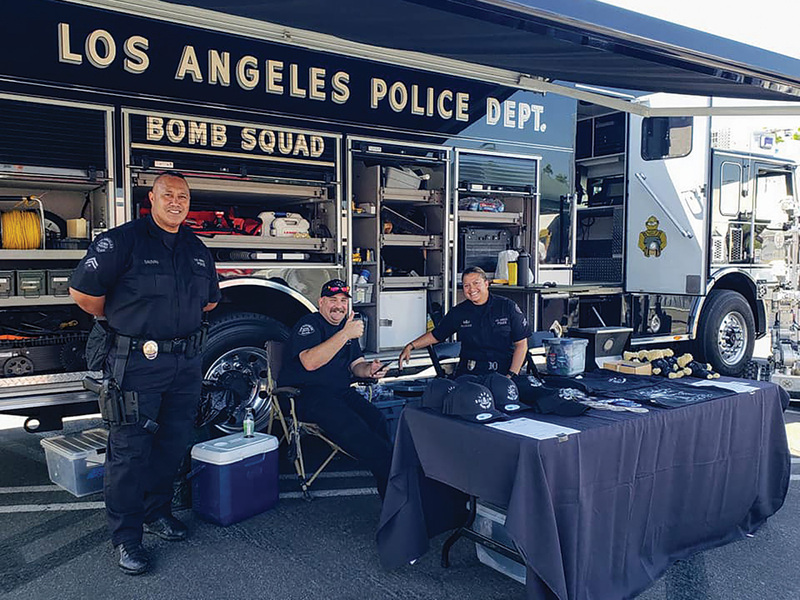 As a result, the Department really blew all the rest of the law enforcement groups (and LAFD!) away! Each and every person involved in producing the exhibits should be very proud of a job well-done. As I strolled through the exhibits, I saw many people, young and old, engage with law enforcement, many perhaps for a rare moment. This is what we set out to accomplish and work hard each day to do, to build a road to better community relations (and maybe recruit some new blood, too). 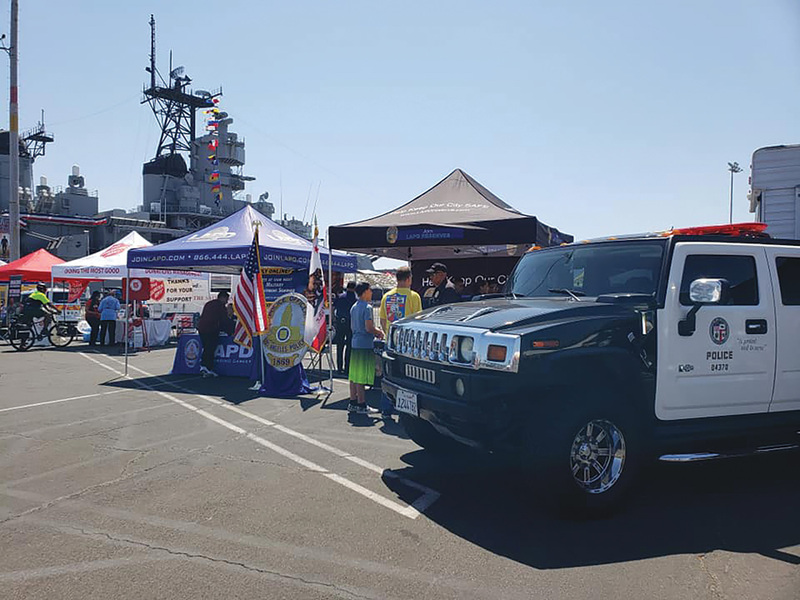 The Department’s participation at LA Fleet Week this year would not have been possible without the unwavering support of Command Staff and the numerous officers who helped to provide the necessary resources to produce an event of this scale. We owe a debt of gratitude to each and every individual who dedicated their resources to make this happen. Thank you to Chief of Police Michel Moore and Assistant Chief Beatrice Girmala for believing in the project. We know you are proud to see this all come together. Thank you for being willing to take the chance on making a better community.